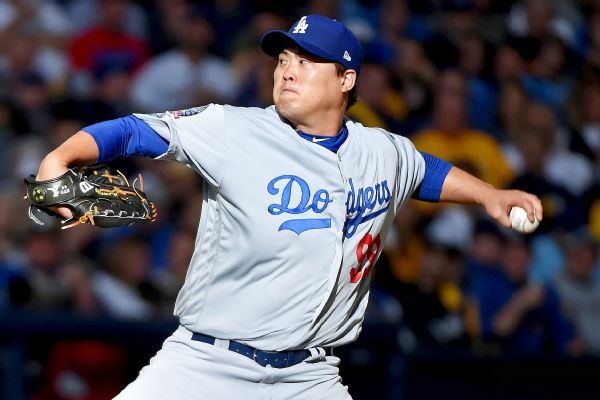 The former phenom talks about coming back from shoulder surgery, pitching in October and looking past another Dodgers lefty's legacy. 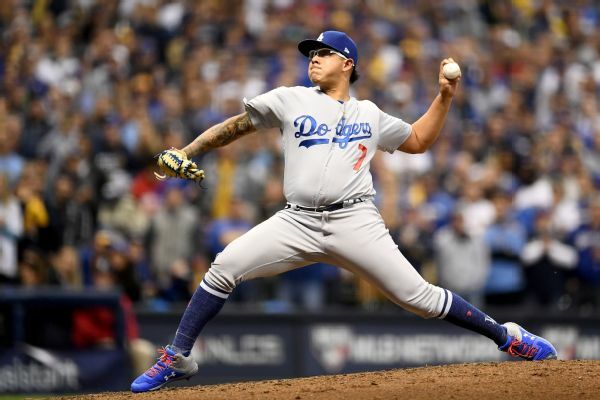 A night after his grandmother died, Julio Urias got one of the biggest outs of Saturday night's ALCS Game 7, helping the Dodgers advance to the World Series. 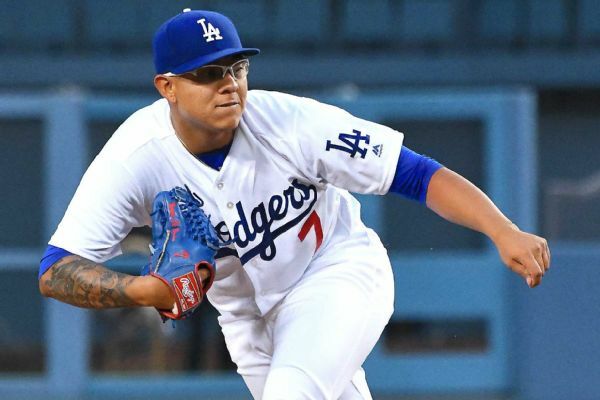 Rumor Central: Early return for Julio Urias? 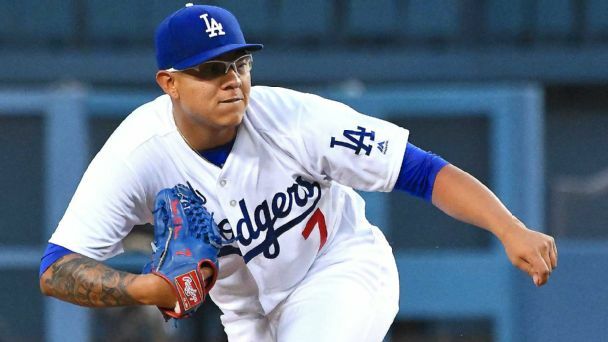 Dodgers left-hander Julio Urias is reportedly progressing well in his shoulder surgery rehab and could return as early as May. 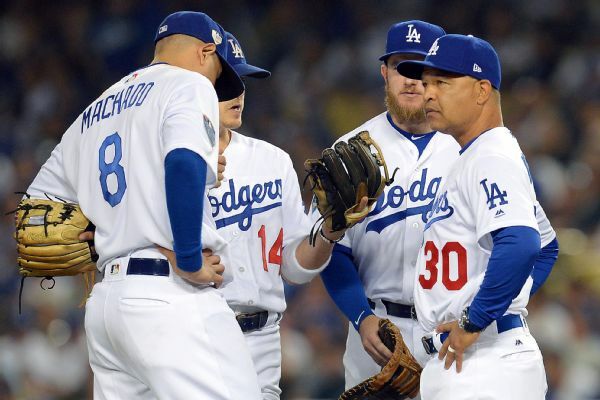 Who's behind the Dodgers' winning streak? 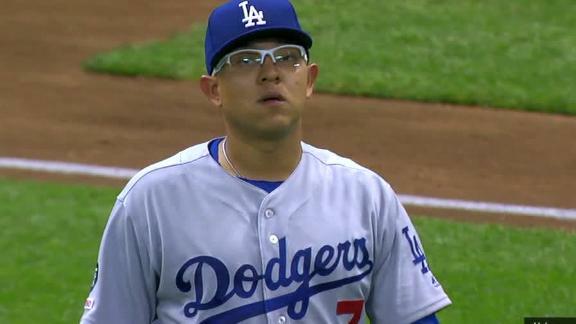 ESPN's Pedro Gomez breaks down the Dodgers' outstanding performance, Dave Roberts' fine managing and talks about the status of Julio Urias' shoulder and Joc Pederson's return. 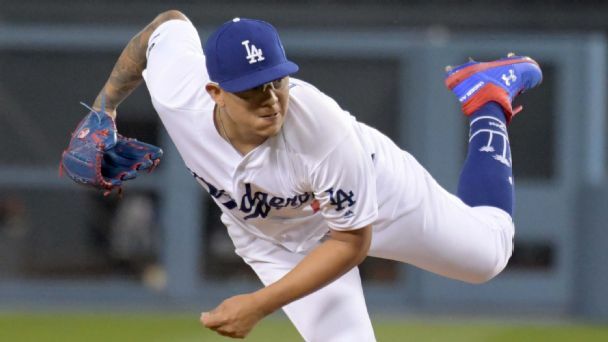 Julio Urias, the Dodgers' 20-year-old lefty, is scheduled to have his left anterior capsule repaired Tuesday, and the team expects him to be sidelined for 12-14 months. 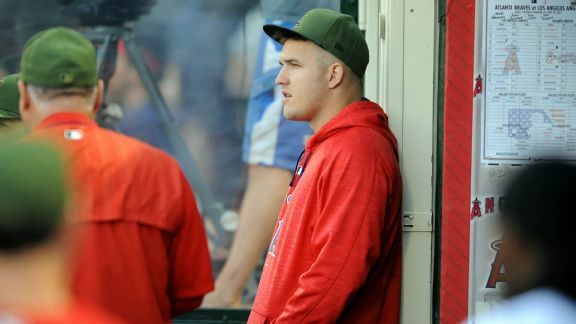 An Angels team destined to sink without its star, a Dodgers phenom and the Giants' muted reaction to Hunter Strickland's fracas with Bryce Harper.